Many bomber pilots saw training on this aircraft before going off and training to fly B-17s or B-24s. The Cessna T-50 design was Cessna’s successful answer to the need in the late 1930’s for a five-seat civil transport aircraft. First flown in 1939, simple Cessna design of wooden wings and tail, with a welded steel-tube fuselage all covered in fabric made the aircraft relatively light for its size and made it fairly durable. It was powered by two Jacobs R-775 engines, producing 245 hp each. 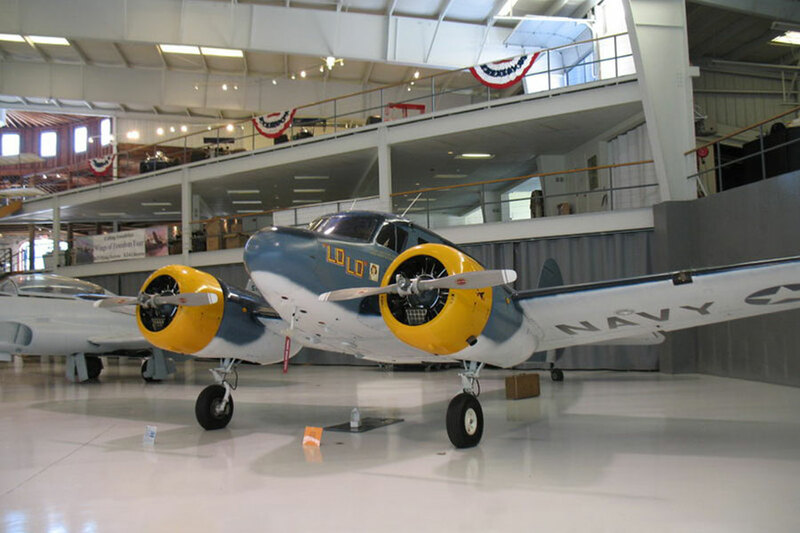 When WWII began, the design was incorporated into the newfound need for a multi-engine trainer and utility aircraft. Cessna answered the call immediately by building 550 of the model to the Royal Canadian Air Force under the name “Crane”. The order was soon followed by a USAAF order of 33 under the designation AT-8. Later in the war, the design was ordered in greater numbers under the designation of AT-17 to act as a light transport, liasion, and communications aircraft. Over 1,287 of these units, later redesignated as UC-78, were built and flown in every theater of the war. The US Navy purchased 63 of the T-50 and designated them as JRC-1’s and used them as light personnel transport. During its lifetime, the T-50 earned several infamous names, the first being the “Bamboo Bomber’… a reference to the primary wood construction. The name “Useless 78” was coined because of its low payload when fully fueled. The name “Wichita Wobbler” came from its roots with the Cessna Co. of Wichita and the fact that its spindly landing gear allowed it to wobble when sitting still on the ground. Cessna T-50s served after WWII as civil transports and were bought via war surplus at a low cost. 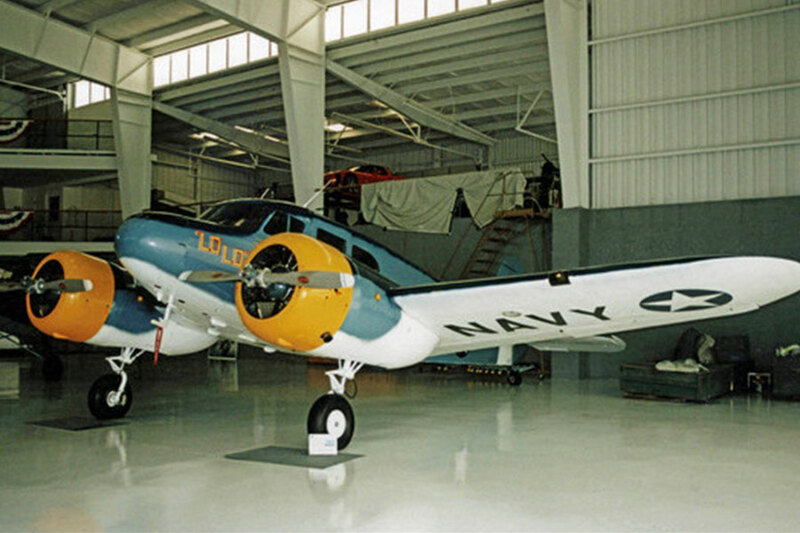 Some commuter airlines even used the type successfully as did Revere Airlines when it purchased and flew s/n 3696, the Cessna JRC-1 flown and owned by the Collings Foundation. After their useful life expired, the types were usually found relegated to the weeds and junkyards at the outer edges of airports. Their wood and fabric construction was prone to the elements and many of the aircraft simply rotted away. 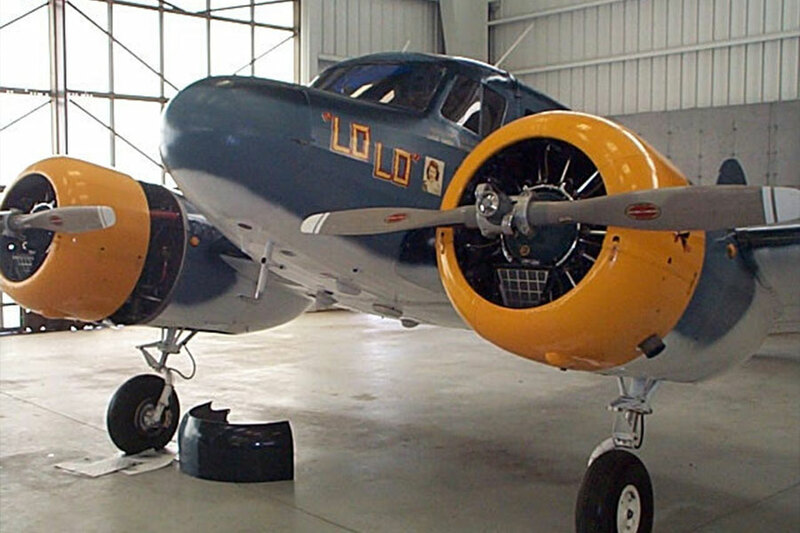 Some examples have been restored back to pristine condition by loving restorers and owners wishing to continue to honor one of the lesser-known aircraft of our time.